Hardware development is generally divided into: schematic design, circuit design, PCB board design, test board production, functional testing, stability testing, small batch production, formal delivery or formal use of the market. 1. make clear the overall requirements of the hardware, such as CPU processing capacity, storage capacity and speed, I/O port allocation, interface requirements, level requirements, special circuit requirements, etc. 2. according to the demand analysis plan to develop the hardware, seek the key device and technical information, technical means, technical support, to fully consider the technical feasibility, reliability and cost control, and put forward clear requirements for the development of debugging tools, key devices to obtain samples. 3. for hardware detailed design, including drawing hardware schematics, single board functional diagram and coding, PCB wiring, at the same time complete the development of BOM, production documents (Gerber), material requisition. 4. back to the PCB board and the material arrangement of welding 2 ~ 4 boards, single board debugging, each function of the principle in the design of the test, when necessary to modify the principle diagram and record. 5. hardware and software system, the general single board needs hardware personnel, single board software personnel coordination, after the single board debugging, in principle and PCB wiring adjustment, need second cast board. 6., internal acceptance and transfer test, production trial, tracking the problem of production line, actively assist production line to solve problems, improve the rate of good, paving the way for mass production. 7. small batch production. After the acceptance of the product, a small batch production, to find out the production process, testing process, for mass production to prepare. 8. mass production. After a small number of production verification, a full range of electronic product development, testing, production processes are no problem, you can begin mass production. Hardware requirements specification is the description of the hardware development goals, basic functions, basic configuration, main performance index, operating environment, constraints and development funds and schedule requirements, it is based on the requirements of product specifications and system requirements specification. It is the basis for the overall design of hardware and the formulation of hardware development plans. Specific written content: the basic functions, and use of network hardware systems engineering of the overall system and the main performance index, hardware system and main performance index and division of function module. The overall structure and function partition of the system, logic diagram of system logic diagram, system function modules, circuit diagram and single plate, single board logic diagram and the circuit diagram, and the reliability, safety, electromagnetic compatibility is discussed and the hardware test program etc.. This document should be laid down in the overall design scheme of the single board, the overall design scheme of single board should contain a single board version, single board machine in the position, development objective and main function, single board and single board function description logic diagram and the function module, the single board software function description and function module partition, interface simple definition and related board, main performance, power consumption and standard. When the single board hardware enters into the detailed design stage, a detailed report of the hardware design of the single board should be submitted. In the hardware design mainly includes: with single board logic diagram and each function module in detail, each functional module, address allocation, control mode, interface, memory space, interrupt mode, interface pin signal timing instructions, detailed definition, performance index, lights, wiring, definition programmable device diagram, function module description, principle diagram, with BOM and single board testing and debugging program. Sometimes a single board hardware and software respectively by two developers, so it provides a detailed guide single board hardware design in detail for software designers, so the single board hardware design report is very important. Especially the address allocation, control mode, interface mode and interrupt mode are the basis of the single board software, and must be written in detail. At the completion of the single board software design should be completed after the single board software detailed design report, complete list of the board software programming language in the report, the compiler debugging environment, hardware description and functional requirements and data structure etc.. Special emphasis is placed on detailed design details, including interrupts, main programs, subroutines, access parameters, exit parameters, local variables, function calls, and flow charts. In the description of the communication protocol, the physical layer, the link layer protocol, and the high-level communication protocol are defined which documents to define. 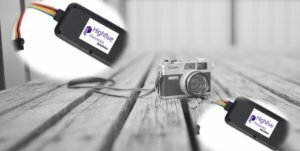 Copyright © 2004-2019 Highfive Electronics. All rights reserved.